To gear up for the release of our new cookbook, Ice Cream & Friends, we're re-running a tutorial on how to make sprinkles—one of ice cream's best friends—with a bonus video! When I was a little kid, I adored sprinkles. I would add them to absolutely every ice cream cone I ordered. In the past few years, however, I found my love for sprinkles fading away. I blame the cheap bottles I used to buy at supermarkets; instead of the rainbow-colored sugar specks I remember from my childhood, supermarket sprinkles often come in faded primary colors and taste remarkably like nothing at all. But on my 25th birthday, my friend presented me with a homemade cake covered top to bottom with deep purple, forest green, and sapphire blue sprinkles that didn’t ruin the cake with a plastic flavor. 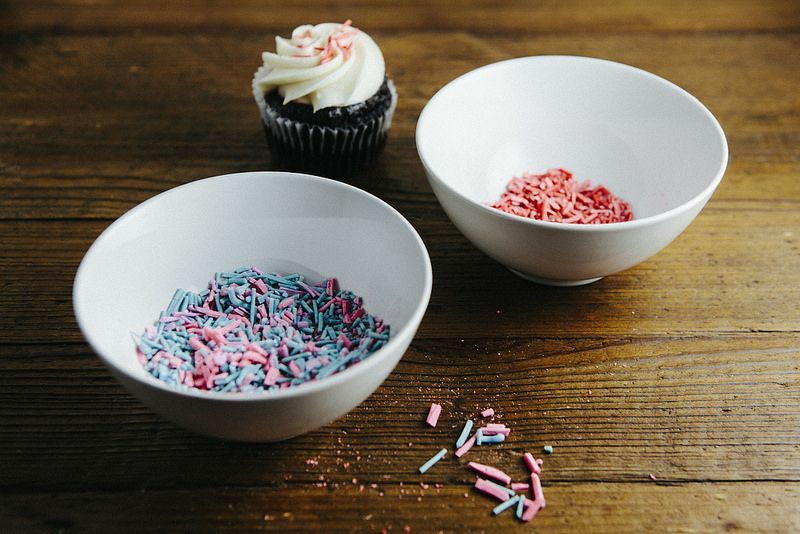 In fact, these beautiful, delicious sprinkles tasted like sugar and vanilla. Her secret? These sprinkles were homemade. She shared her recipe with me (inherited from her mom, a pastry chef at a local restaurant in Portland), and since then, I haven’t turned back. I make my own sprinkles almost every time I decorate a cake. 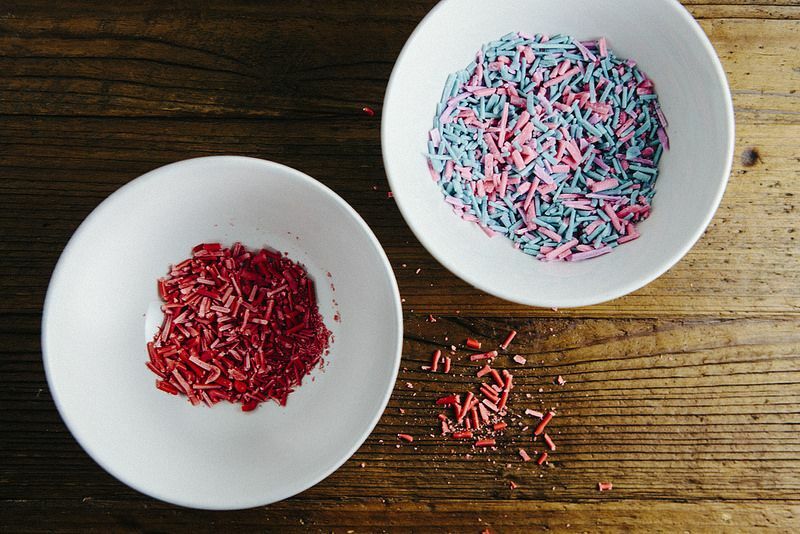 Not only are sprinkles incredibly easy to make, but you can also choose your own colors and flavors. In the bowl of an electric mixer fitted with a paddle attachment, combine confectioner's sugar, egg white, extract, and salt. Mix the ingredients on low speed until a paste forms. The paste should have the consistency of liquid glue. Scrape down the sides of the bowl and continue mixing until all the confectioner's sugar is fully incorporated. 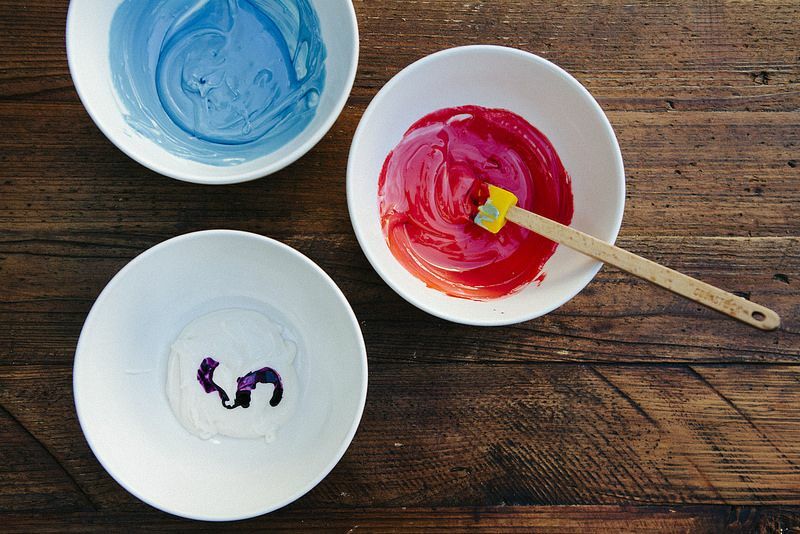 Divide the paste into as many portions as you have colors, tinting each batch with the color of the choice. 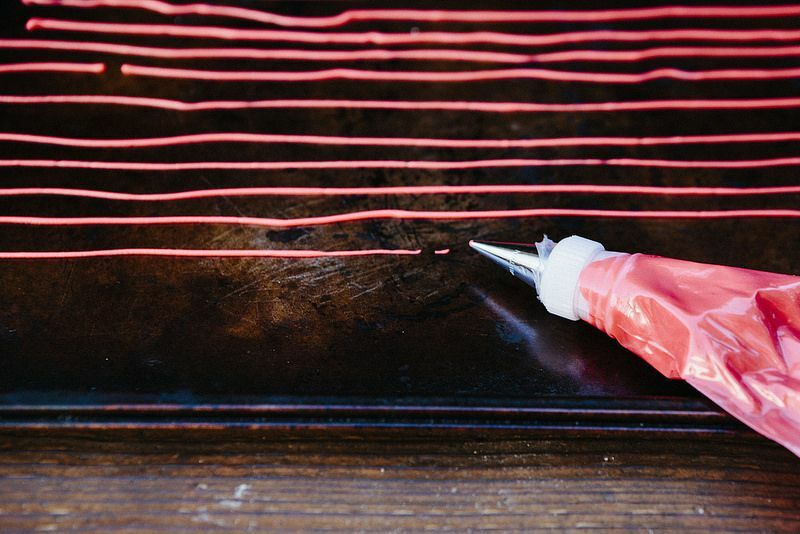 Use a rubber spatula to stir the food coloring into the paste until it's an even color. Transfer the different colored pastes into their own pastry bags, each fitted with a small pastry tip (Wilton's #2 or #3). 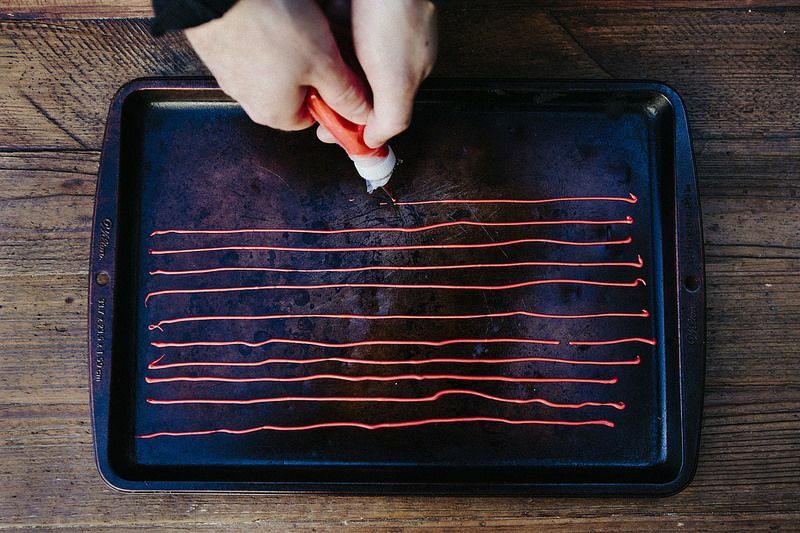 Pipe out long, thin lines on a cookie or jelly roll pan, ensuring that the lines do not touch each other. Repeat the process with the remaining colors and allow the piped lines to set uncovered in a dry place for 24 hours. Once the piped lines have dried completely, use a bench scraper or a butter knife to break the piped lines into short, sprinkle-sized pieces. Use immediately, or store in a dry, airtight container for up to 1 month. Baker, blogger and photographer at www.hummingbirdhigh.com. I first started stress baking during my sophomore year of college and have not stopped since. Are there any concerns about the egg being raw? I wonder if this same formula could be sued to make edible confetti? Maybe spreading the mix out on parchment and letting it semi-set before scoring the circle shapes? Is there a way to make these without the egg? My son is allergic to eggs, but would love these. I know these comments were from quite a few years ago, but flax "eggs" are usually great substitutes in most recipes. Not sure how it would lend itself to this one (perhaps a very well ground flax would work?). Here is a like if you have never used this substitution before: http://minimalistbaker.com/how-to-make-a-flax-egg/ Good luck! Yes, I agree! Probably won't ever make them but glad to know how! Whaaaa!! So so cool Michelle! I'm obsessed with this. I'm so pleased to have found this! Can't wait to give it a try this weekend. Looks tasty - essentially this is taking royal icing and piping it and breaking it?? Love this! I would have never thought to make my own, but this looks too fun not to try. The possibilities are endless! Is there any coloring available for me to use that is not the commercial food coloring that uses red dye 2(?) etc.? I think them harmless by my daughter does not, so grandson (4 yrs old) gets none and he - and I - like them on the biscotti we make together. Thanks for your consideration. You could try beet powder. I've never used it but I know people who have, and it lends a slight earthy but not beety flavor & a lovely color. 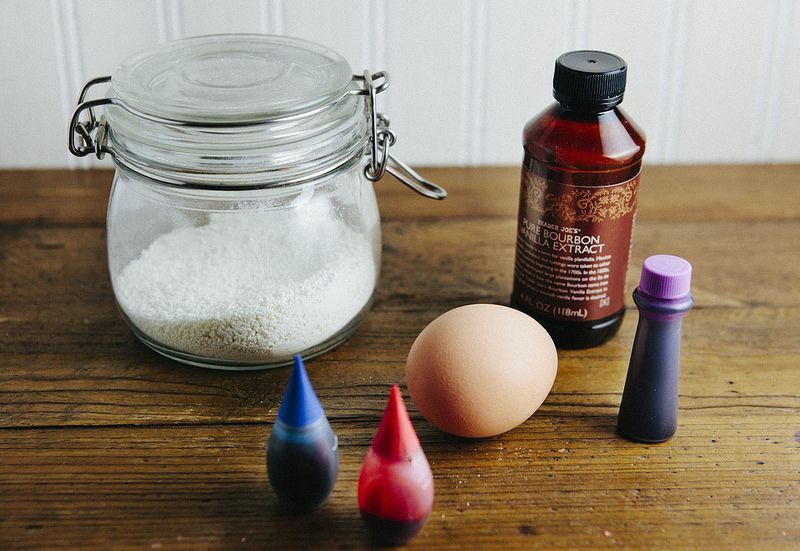 Easy and natural food dye coloring with this easy recipe! India Tree makes all natural colorings. Whole foods sells a small pack of natural food colors. this is the best thing EVAR!!!! Here's a video by Dulce Delight (an awesome food blog) on how to make natural food colouring only using FRUITS AND VEG! I've always loved sprinkles. Sometimes if they're not available I will forgo ice cream all together. I'm not a baker, but always wondered how its made. My favorite is "real" chocolate flavored ones - in a silly cartoon shaped plastic bottle or Carvel. Saving this if I get the inspiration to give it a go!